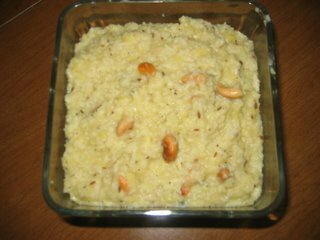 ﻿﻿ Pongal is very popular rice dish in South India. There are two types of Pongal. 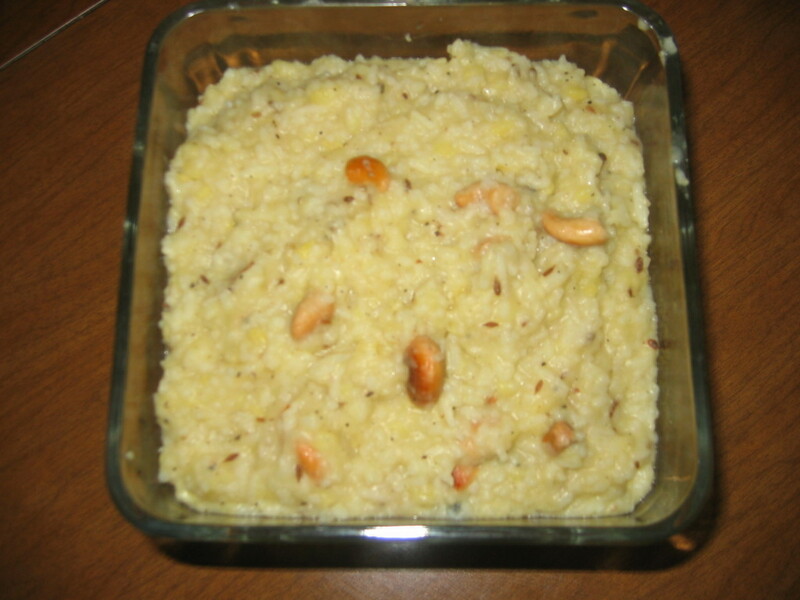 Sarkarai Pongal which is sweet and Ven Pongal is spicy one. 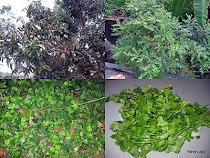 It is also called Kichadi in North India. Wash rice and dhal and cook in pressure cooker (3 times water) with salt . Heat a pan with ghee add jeera, curry leaves, cashew nuts, pepper, chillies, ginger and pepper powder. When the cashew becomes red add to the cooked rice and dhal. Mix well and little more ghee.